June 24th at 6:00 p.m.
We welcome back the Kelly Rae Band. 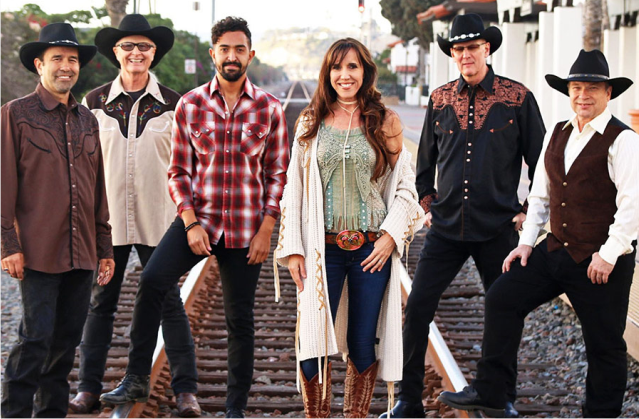 This six-piece, high energy country band has been delivering crowd-pleasing performances to audiences throughout Southern California and around the world for more than a decade. From festivals to outdoor concerts in the park, county fairs, country clubs, resorts, weddings, and corporate events, the Kelly Rae Band is known for its professionalism and providing exciting, memorable, live entertainment. The band features seasoned musicians whose credits include work with Tanya Tucker, Rascal Flatts, Bobby Bare, and Trick Pony. The band plays a range of music from Patsy Cline, and George Strait to the most current Lady Antebellum, Carrie Underwood and Taylor Swift.